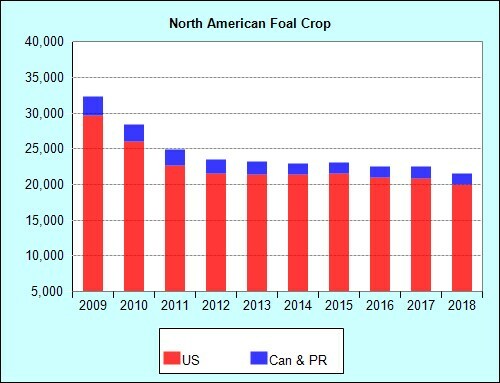 Foal crops are estimated against Reports of Mares Bred, scheduled to be filed by Aug. 1 of each breeding season. Foal registration is to be completed within 12 months of the birth of the foal. However, late registration is available for additional fees, making actual foal crop counts impractical before Dec. 31 of the crop's 2-year-old year, the time by which the vast majority of the foal crop has been registered.